While flight prices are unpredictable to an extent, there are some things you can do to try and snag the best deal! Do you want to get cheap flight deals to Manila, the Philippines? Avoid these 10 mistakes! In the airfare market, tickets bought at the last minute are almost always going to be the most expensive. So start planning early, and book about 2 months before departure. Some suggest booking as early as 5 months out for flights from the U.S. to Asia. There’s no way to be 100% sure when the lowest prices will be available, so don’t beat yourself up if you see a cheaper price after you’ve already made a booking. 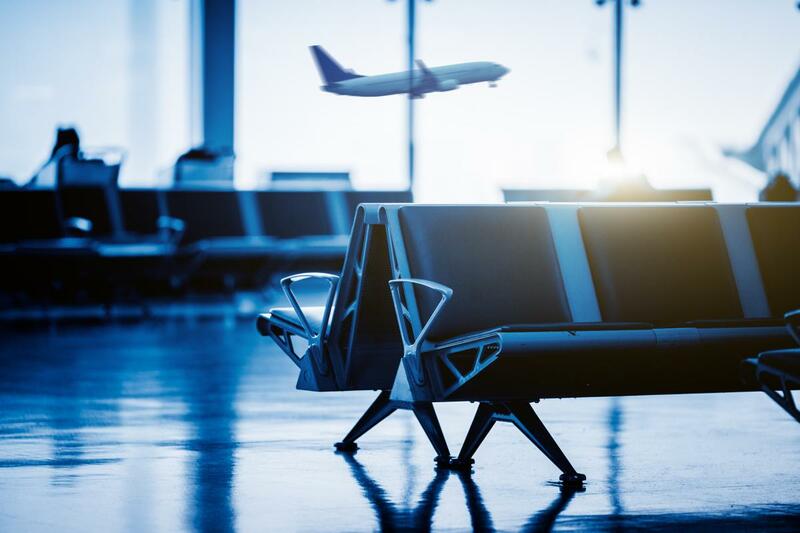 If you are looking for a last minute ticket, travel agents are your best bet as they know how to get the last available seats. Everyone knows that flights leading up to Christmas get more and more expensive. The same is true for airfares to Manila. If you want to fly somewhere for Christmas, try to leave before the 20th if you can. Flights on some big holidays can actually have lower prices such as Christmas Day and New Year’s Eve. Keep in mind any other significant events that may be near the dates you are looking at, as they might push up the prices. The rainy season in the Philippines is between June and September, so flights will usually be cheaper at this time of the year. 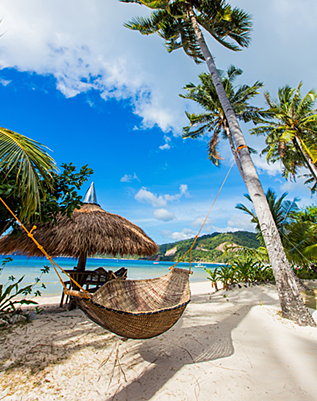 June is supposed to be the cheapest month to fly to the Philippines. The day of the week on which you fly affects the price. Tuesdays, Wednesdays, and Thursdays seem to be the cheaper days to depart and return. On the other hand, Friday to Monday tickets are generally more costly fares. So, if you can be flexible you can get the lower priced flight. Similar to the day of the week, sometimes the difference in price from one date to the next can be huge! If you can be flexible with your departure or arrival dates you will be able to choose the lower price option. Maybe you could score the cheapest flight deal and save a few bucks, but it could end up more expensive in the long run. Sometimes it’s worth it to pay more for your fare if you know the airline will provide in-flight meals, or have a higher free baggage allowance. Most good travel agents have access to discounted unpublished airfares that are not available online. So they are your best chance at finding cheap flight deals to Manila. Travel agents can also reserve your seat if you need some more time to think. As they work with itineraries every day, they are experts at finding you the best deals. Travel agents will also save you a lot of time and effort, so you don’t need to dig around for the best tickets yourself. They will provide you with several itinerary options personalized to suit you. ASAP Tickets agents are experts at booking flights from the U.S. to Manila, and can speak Tagalog, Cebuano, Spanish, and of course English. You should always check the ticket prices to all airports that are nearby to see how they differ. Don’t forget to factor in the price of transport from the airport to your final destination. You may think you’ve found a great deal, and that, of course, you can run like the wind from one gate to the next. But this is a very stressful situation that you don’t really want to find yourself in. If you use a travel agent they will never give you an itinerary with a risky connection time. If you are traveling with friends or family and you all book separately, you could be missing out on a group discount! The easiest way to find out about group pricing is to ask a travel agent. Travel agents can also offer discounts for children on some airlines. If you’ve ever searched for flights online, you’ve probably seen some crazy flight deals. But on further inspection, you find that the total travel time is 25-30 hours. Ain’t nobody got time for that! The cheaper price usually doesn’t justify the waste of your vacation time, not to mention the mental and physical stress of a long journey. These itineraries often include several layovers. With such a long travel time you will end up spending more on expensive airport food anyway! When booking with a travel agent, they will not offer you inconvenient routes like this, and only offer the most convenient routes at the best prices. Keeping in mind these mistakes to avoid, flights to Manila don’t have have to be expensive! So, in conclusion, to get the best flight deals to Manila, book your flight in advance, fly when the tickets are at their lowest price, choose a comfortable airline, check the flight details and use a travel agent! Did you know that 1 in 5 people who visit the Philippines fly with ASAP Tickets? That’s because we have the best customer experience and the best prices. Im planning to fly to manila on January 23, 2018 and back on March 6, 2018 for myself and my wife. can you give me a best offer. Hi! You can contact an agent directly on 844-300-7983 to get a price quote, or you can use the “Get a Free Quote” form here on the blog! I have flown to the Philippines a few times and as a AAA Member I have utilized their services and have always been satisfied with the services provided. S my question is this: When you recommend using a Travel Agent is AAA acceptable to make the arrangements? Or are you being specific to ASAP ticket purchases only when you refer to “savings”? It depends on the airlines that the travel agency has contracts with. In some cases, there are exclusive contracts between a travel agency and an airline so not everyone can offer the same deals. ASAP Tickets is partnered with over 150 airlines and have a variety of contracts with them. Thank you for responding. I just booked my travels again through AAA for April-May 2018. I booked with Philippine Airlines round-trip direct flight from San Francisco to Manila with a connecting flight to Davao City. This is my third trip going there and have nothing but praise for Philippine Airlines staff, Customer Service, plus meals and snacks served while enroute. I also requested wheel-chair assistance and the personnel to do that were extremely helpful, professional, courteous and kind. I could not have gotten from point “A” to point “B” in a timely manner without difficulty had it not been for their help. Everything being relative, my fare was less than $1,000.00 round-trip and my connecting flight times were within comfortable parameters allowing for de-boarding and changing terminals. Although the ticket cost is expensive, I booked 4 months in advance and had substantial savings compared to previous years. Considering how smoothly and efficiently everything went, I have no complaints. I feel I’m getting more than my monies worth. For what it’s worth to others. I highly recommend flying Philippine Airlines. It’s a long flight but relatively comfortable and the meal and snacks offered on board are excellent choices and tasty. Both Philippine and Western Menu options are offered. I recommend trying the Philippine food choices. Outstanding! Hi guys! We plan to travel to Manila during Christmas season 2018 (leave the weekend before Christmas Day). A family of 5 adults, 3 children, flying from the Netherlands though, not the USA. What would you recommend with regards to purchasing the cheapest ticket sales. How and when to purchase. Flying from Europe (Amsterdam). Thank you! Fares don’t actually become available until 330 days before departure. And it seems that booking too far in advance is not always the way to get the best price. I’d suggest getting into contact with a travel agent around 5 months before you travel to get some quotes. 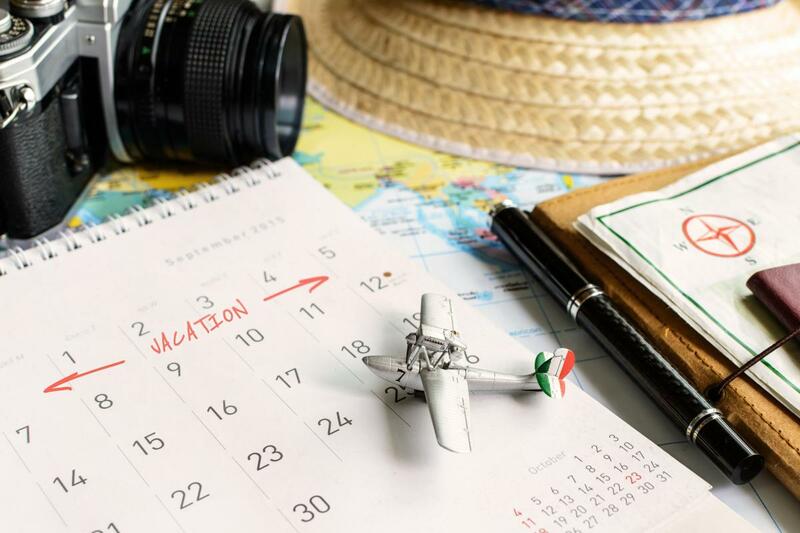 The travel agent should be able to offer some further advice about the best time to book based on the fares they’ve seen throughout the year. Flying from Toronto but was not able to get a free quote. Not allowing me. I have sent your request manually, and an agent will be in touch soon! I plan to leave from Evansville, Indiana on April 5,2018 to Cebu, Philippines and come back on October 10,2018, Please give me a quote. thanks. Thanks for your request, a travel agent will be in touch shortly! Hi! planning to fly from Las Vegas to Manila on May 22 to June 14, 2018. Can you send me a quote? Thank you! Hi Julia! Thanks for the request, an agent will be in touch shortly! Hi Pepito! Thanks for your request, an agent will be in touch shortly! It depends on the airline so you will need to check the airline’s website or ask your travel agent. Hi, do u have flights leaving from Calgary Canada going to Manila Philippines and vice versa for the month of October to November 2018? How much is cost for direct flight in canadian dollars? I have sent your request to the travel agents and they will send you a quote soon! May I have affordable or promo fare quote from Toronto YYZ Pearson Airport to Manila International Airport, for departure on September 20, 2018 and return on October 24, 2018? Kindly connect me to your Asap ticket preferably in Toronto. Looking forward to a safe and enjoyable trip, soon. Thank you, Francisco! An agent will be in touch shortly. WOULD LIKE TO GET AN IN THE BALL PARK QUOTE FOR A ONE WAY TISKET TO MANILA FROM ATLANTA HARTSFIELD JACKSON INTERNATIONAL AIR PORT USING KOREA AIR. Thanks for your request Dwight! An agent will contact you soon.